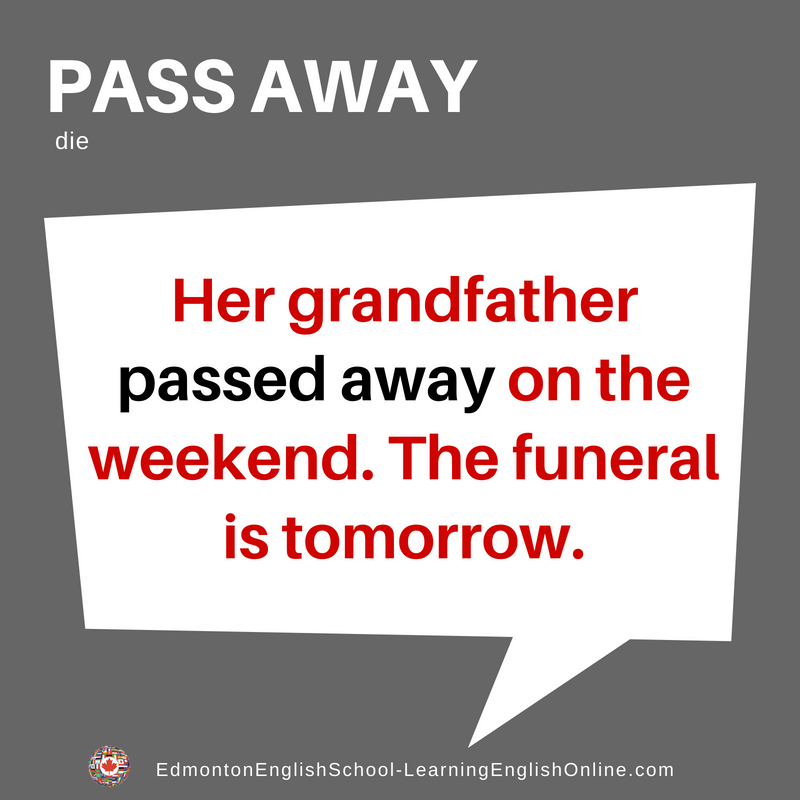 What is the Meaning of PASS AWAY / PASS ON / PASS? This is a polite and respectful way of saying to die. 1. His grandmother passed on last month. He is going to fly to his home country to be with his parents. 2. Sometimes I worry that when my parents pass away, my brothers and sisters won’t stay connected. 3. When she finally passes from this long illness, her husband is going to sell their house.